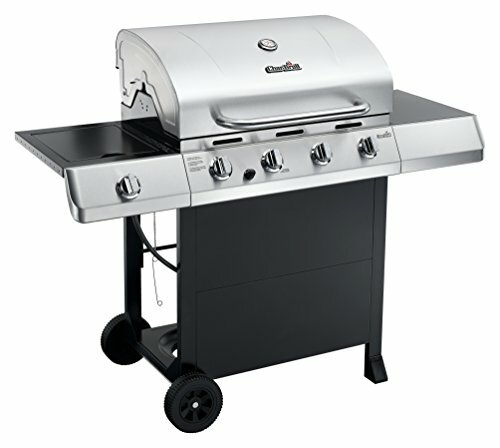 A gas grill is one of the most convenient ways to cook delicious food while taking in the atmosphere of the outdoors. While some grillers will gladly choose charcoal grills over gas grills, there are also some serious grillers who prefer the convenience offered by the gas grill. A grill is an investment; with proper care and use, the gas grill can last long and serve you good food for years. But before you know how to properly use one; first you should know the factors you need to consider before buying a gas barbecue grill. Just like any other appliance or furniture you have to buy for your growing home, and even when buying simple everyday things, the most important thing you have to consider is your budget. Before leaving home to buy a gas grill, you have to think and rethink whether you really have the budget for one, then think about the size, the special features the gas grill offers and of course the grates. The Dyna-Glo DGB390SNP-D Smart Space Gas Grill is a high and effective performing gas grill. A lot of mediocre grills have the hiccup of unevenness in heating of the grill but not this, every area of the burner has heat distributed around them evenly using thermocouples. The preheat performance of the Dyna-Glo DGB390SNP-D Smart Space Gas Grill is really effective which means that it takes only a few moments to get to desired heat setting and it possesses a wide range of temperature. Features include: Three 12,00 BTU stainless steel tubular burners, 390 square inches of primary grilling area and 117 square inches of secondary grilling space for a total cooking area of 507 square inches. 36,000 BTU maximum output from the main burners, Electronic ignition, Porcelain-coated cast iron cooking grates and Fold down side tables just to provide extra hands. The Weber 61004001 Genesis gas grill is a versatile and durable performer; it spots an incredible design. Though it is not going to be on the list of cheap gas grills it offers you the best value for your money while in the kitchen. It is good and large enough to serve a big family or community of people or friends. A lot of complains are lodged against gas grills that are pose to much of a challenge while trying to clean but not the Weber Genesis, it can be wiped clean easily after a grilling session. 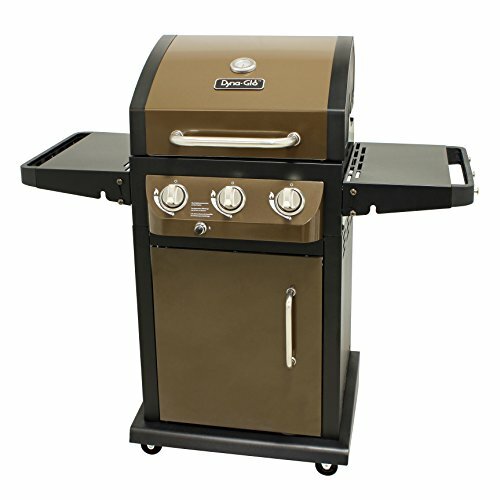 The control knobs are featured in front of the grill like most grills and unlike their previous models that had the control knobs stuck to the side. If anyone told you a type of gas grill might make your food taste better you’d probably doubt that, but the flavorizer bars on the Weber 61004001 Genesis retain the juices dripping off your food and allows it grill in and around the food. 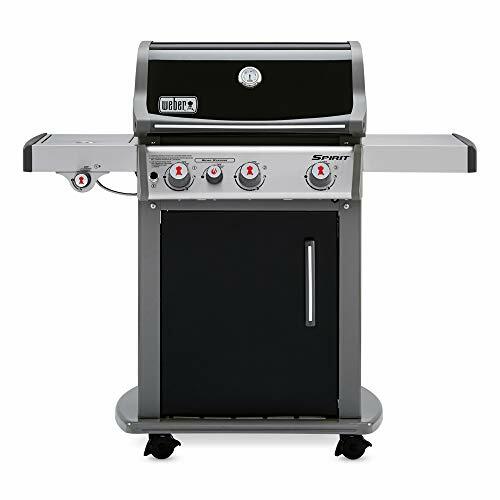 The gas grill comes with a temperature gauge to keep you informed on your grilling temperature at all times, and the Weber 61004001 Genesis is just a charmer with the electronic ignition for starting up. The Char-Broil Classic 4-Burner Gas Grill is one of the finest looking gas grills in the market but you probably want to know about how this thing performs so here, we have a gas grill with 484 square inches of grilling area, this just allows you to grill so much food at a go. The preheat system of the grill is top notch hence it attains desired heat level in no time at all and by the end of your grilling your food will turn up looking fine with sear marks on it. The Char-Broil Classic 4-Burner Gas Grill has amazing luxury features including an electronic ignition system. A temperature gauge, stainless steel burners, a warming rack, a burner tent, and a lot more incredible features to improve your grilling experience. The Weber 46110001 Spirit E210 Liquid Propane Gas Grill will take away all your grilling worries; with a grilling space are of 450 square inches you don’t have to back to the heat to grill too many times if you are hosting a sizeable crowd. It works well as standalone grill with the fold away tables either side of it which means you can have a little more space to work with as you grill away. 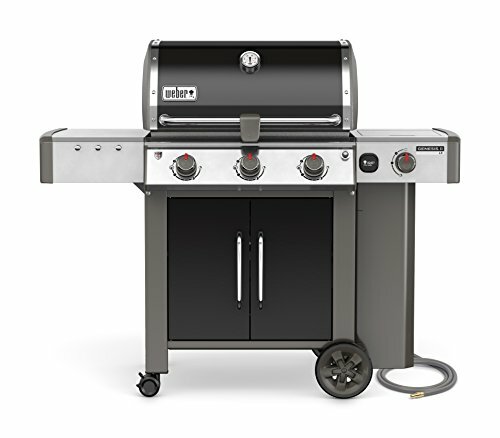 The Weber 46110001 Spirit E210 Liquid Propane Gas Grill allows you to grill your food on any of its three grates; the porcelain coated steel grates are easy to clean up after use, the plain steel grates are very good heat retainers, and the porcelain coated cast iron grates are handy for slow cooking. A weber gas grill is never really complete without the flavorizer bars on them and the Weber 46110001 Spirit E210 Liquid Propane Gas Grill features the flavorizer bars too. It is pretty safe now to assume that Weber is the go to company when matters of gas grills arises. 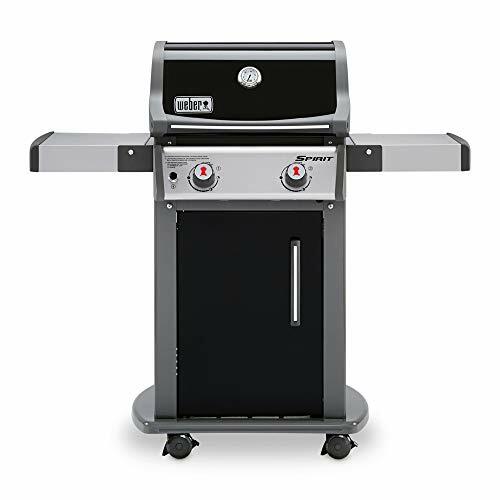 Their Weber 46810001 Spirit E330 Liquid Propane Gas Grill is the third product from Weber to make this list and it’s by no accident as this gas grill has a lot to offer like the others. With an electronic crossover ignition system this gas grill will save you from the stress of alternative ignition methods. It offers an awful lot of cooking space too, just enough to cook a whole turkey while doing some other cooking simultaneously. The Weber 46810001 Spirit E330 Liquid Propane Gas Grill has a side burner where you can put more recipes on the weber grill and watch over all of them easily at the same time. Conclusion: Cooking can be fun but only when you have the right equipment to work with. So, brace up and write the stress filled grilling days off and find yourself the best gas grills from this review..